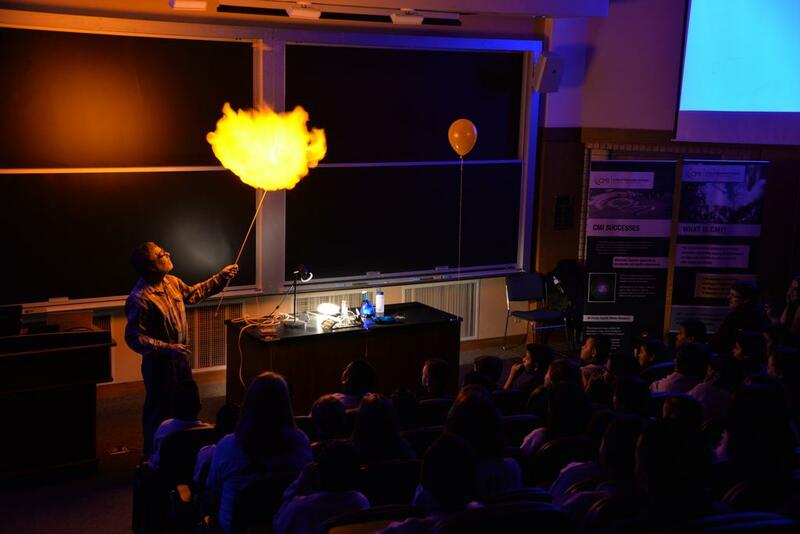 July 10, 2015 – On July 8, 160 sixth grade students from the Denver School of Science and Technology (DSST) spent the morning at Colorado School of Mines, participating in science, technology, engineering and mathematics (STEM) activities and touring labs and classrooms. Students attended presentations by the Critical Materials Institute (CMI), Colorado Fuel Cell Center, Advanced Water Technology Center (AQWATEC) and the Geology Museum. Geology graduate student Mandi Hutchinson led the CMI session and highlighted the use of critical metals and rare earths in current technologies and energies. Danielle Ladd, Research Experiences for Undergraduates (National Science Foundation) programs teacher researcher and Early College of Arvada chemistry and physics teacher, discussed chemical reactions and fuel cell technologies. AQWATEC presenters from Mines included Economics and Business Professor Rod Eggert and Chemical & Biological Engineering Professor Jim Horan.